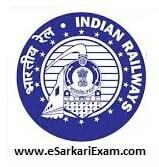 Eligible Candidates can Download SECR Apprentice Merit List at the Official Website of SECR. Applicants First Logon to SECR Online Website. Open Act Apprentice Engagement in SECR. Click on Act Apprentice Merit Link.